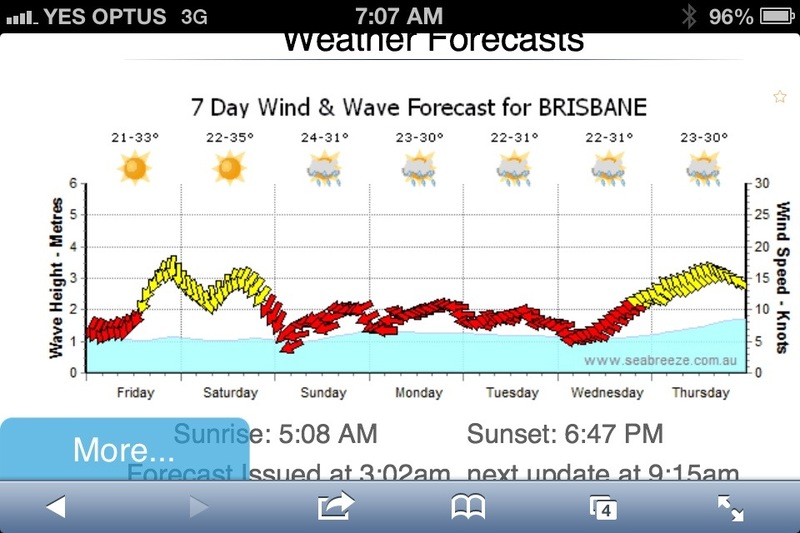 For those of you in Brisbane trying to work out what to do this weekend, the weather looks glorious. Why not get out and enjoy nature? Thank you seabreeze for supplying this forecast. Click here to check out the forecast in your favourite city. Those of you who have been reading for a while have probably already guessed that Sunday looks like a good day for spearfishing. There is a slight dilemma… The water visibility is apparently terrible. We’d better charge our shark shields!